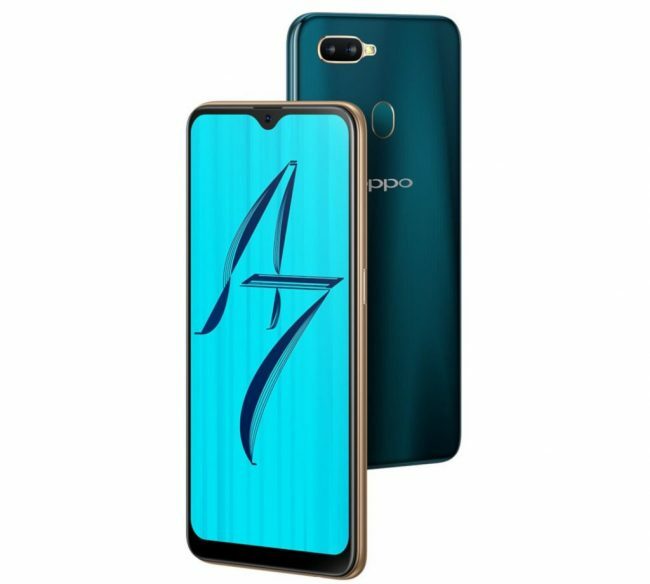 On the occasion of festival of Holi, Oppo has announced price cut on its two smartphones in their A series – OPPO A7 and OPPO A5 which were launched last year. Starting 20th March, OPPO A7 4GB variant will be available for INR 15,990 compared to its earlier price of Rs. 16,990 and OPPO A5 at INR 11,990 against original price of Rs. 14,990, on Flipkart, Amazon, PayTM, Snapdeal, TataCliq and at all OPPO mobile stores. OPPO A7 and OPPO A5 are powered by 1.8GHz Octa-Core Snapdragon 450 processor with Adreno 506 GPU and mated with 4GB RAM. OPPO A7 has 64GB of internal storage whereas the A5 comes with 32GB of storage which can be further extended upto 256GB. They are packed with massive 4230mAh battery. Oppo A7 and A5 come with 13MP primary camera with LED flash, f/2.2 aperture and secondary camera of 2MP with f/2.4 aperture. Oppo A7 has 16MP front camera with F/2.0 aperture. On the other hand, Oppo A5 has 8MP Front camera with f/2.2 aperture. Both the phones sport a 6.2 inch HD+ (720×1520 pixels) FullView display with an aspect ratio of 19:9 with 2.5D curved glass panel. The A7 has waterdrop display whereas the A5 has normal notch display. These are Dual SIM phone and runs ColorOS 5.1 based on Android 8.1 Oreo. These phones offers connectivity options of 4G VoLTE, Wi-Fi 802.11 b/g/n, Bluetooth 4.2, GPS/ A-GPS and Micro-USB.